Even though my first attempt didn't quite make it, I was determined to see this toaster cover thing through. 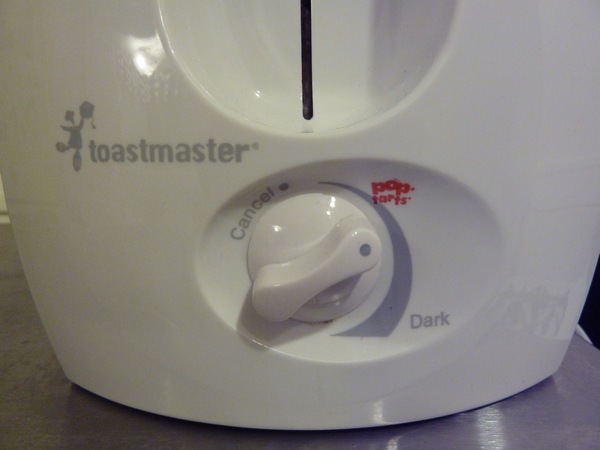 All toasters should have a Pop-Tart setting. 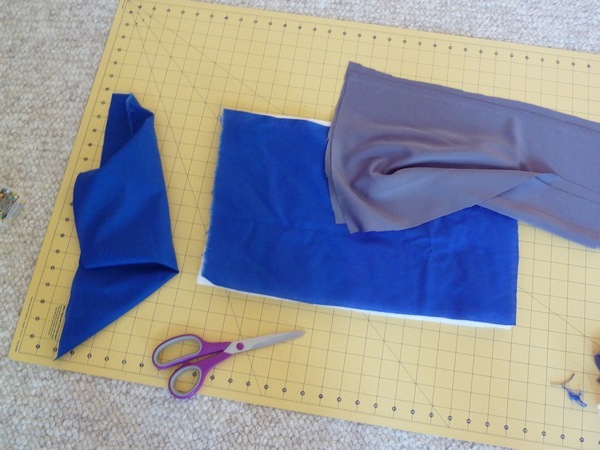 I used a tutorial from Sew Mama Sew, which was very straightforward and easy to follow. Though I ended up using thick quilt batting instead of flannel, and pre-made bias tape rather than home-made. This time I measured out an extra inch or so of width for my pudgy toaster! 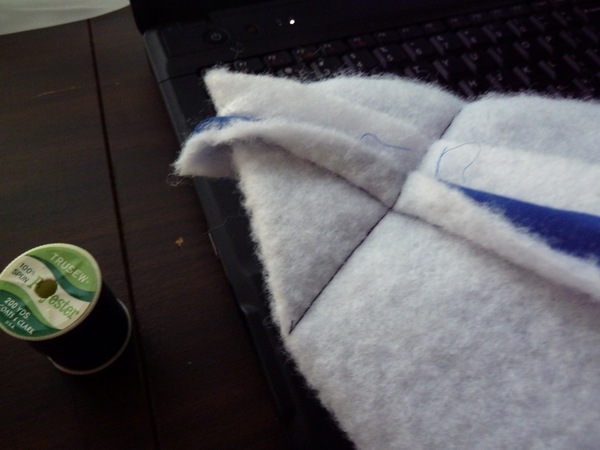 Just sew it up, perpendicularly across the corners to "box" them. 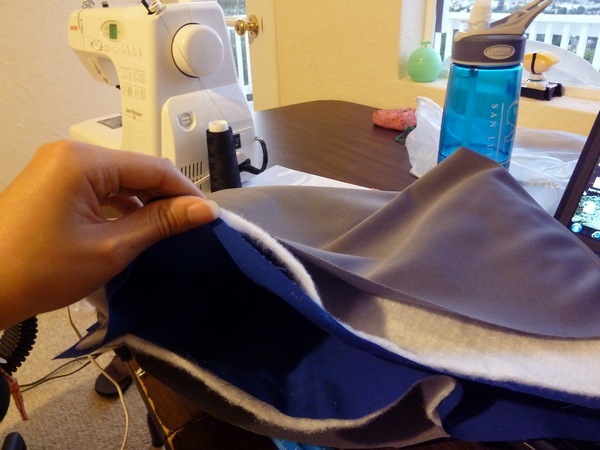 Once it's a good fit, just put all the layers together and use the bias tape to create a nice clean bottom edge. Kidding. How boring is that? That's actually the reverse side, which I probably should have made with a cooler (perhaps patterned) fabric. It's nice that the tutorial creates a reversible cover though! Foregoing the felt this time, I sewed on some more legit fabric. 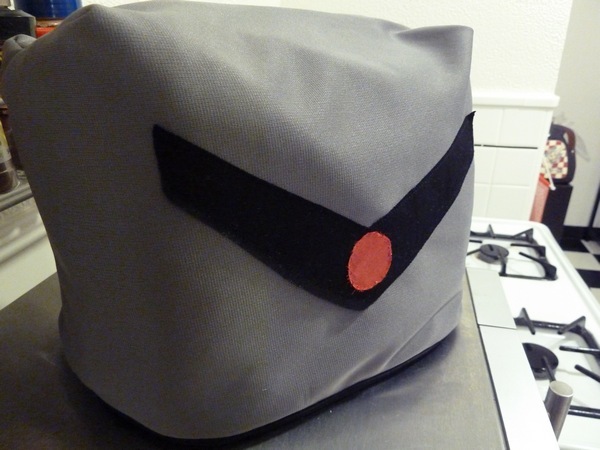 It's supposed to be a cylon toaster cover, since well, they call cylons "toasters" in Battlestar Galactica. It's kind of overly simple and could pass for pretty much any mecha-glowing-red-uni-eye creature, be it robocop or a gundam. Oh well. 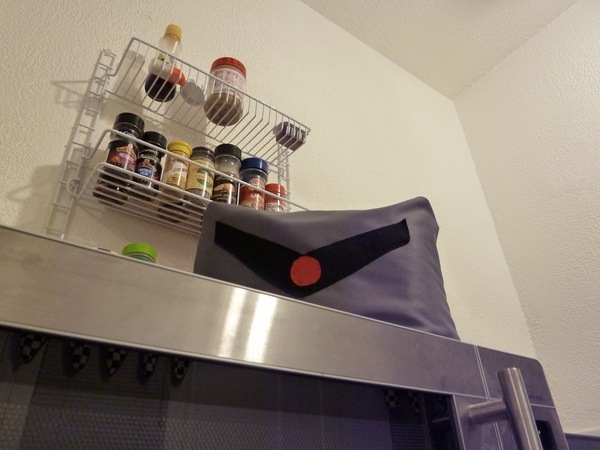 It may not be perfect, but it'll keep the dust off the toaster, and provide a little bit more curiosity to our already anime kitchen. 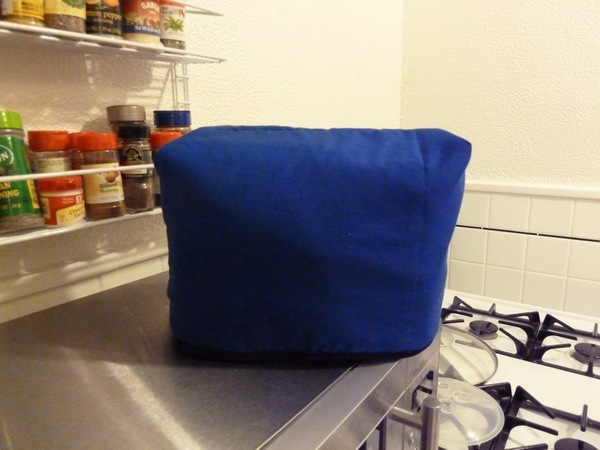 I highly suggest trying your own DIY toaster cover, because it really didn't take much time to do, and you know your toaster (or other appliance) needs some love! haha! No way on the poptarts... did you put that there? @kim - yes! 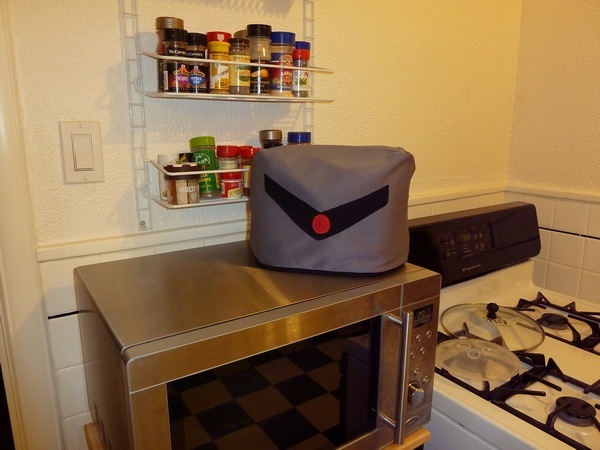 toaster ovens need covers too i'm sure! @joecarli - totally bought it that way. great way to brand a product though! @jennifer - seriously level one project, you can do it! @alvina - yes, you can flip it inside out! both sides are equally finished, so it's a pretty cool pattern! I LOVE that! And, um, does your toaster seriously have a pop-tart setting or is that photoshopped? Because I'm totally jealous if it does. This is totally Asian :) My mom uses a handkerchief and calls it a day but this is totally cute. We have a toaster oven so it's far too big for such shenanigans. Also, your pop tart setting is the awesomest thing I've ever seen. These ovens are incredible for anything that fits in them. Try not to utilize your oven toaster just to toast.